What do you 'off season' with your competitive Morgan? Lauren Reece and Menomin Watch This are 'mudding it'!! Congratulations to Lauren Reece and Menomin Watch This (Drive, and junior rider Rebecca Kasabian (Sunday Ride), the Grand Champions of the Green Mountain Horse Association’s 15 mile MUD RIDE. Over 60 riders took to the trails on Saturday and Sunday, April 25 and 26 to kick of GMHA's 2009 season. Thissy & Lauren repeated her win in April of 2010!!!! with Corine who has come back to showing after serious injuries in a major accident had curtailed her activity for 2 years! This wonderful mare is now offered for sale!!! Let her take YOUR western rider to the tri-colors! August : Suzy Stafford won the bronze medal World Combined Pony Driving Championship in the UK with the Morgan mare, Courage to Lead. She was in silver position after the dressage, maintained silver after marathon, but dropped to bronze after the cones. The USA team took 4th place. Menomin has several fine driving horses for sale. All are driven both in the ring and on the local dirt roads and through hazards. This is MrMr's 2nd career... He has shown successfully both in hand and pleasure driving. Another versatile Morgan at play! THEN Jill & Maidi pin 3rd in the hotly contested Junior Exhibitor Western Pleasure Championship at Maine Morgan! Way to go Jill!!! 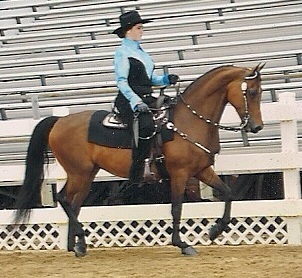 Heather and Menomin Major Issue pin top ten in the Ladies Western Pleasure at the 2011 Grand National!!! Major's lovely sister, Made to Answer (see below, left) has qualified for the Grand National each of last 3 years, plus was Top Ten at the 2006 Grand National... She is ready to take Your Amateur &/or Your Jr Exhibitor to the Grand National!! New on the Dressage circuit!!! in the junior exhibitor division of the open dressage shows!! WOW Stephanie!!!! 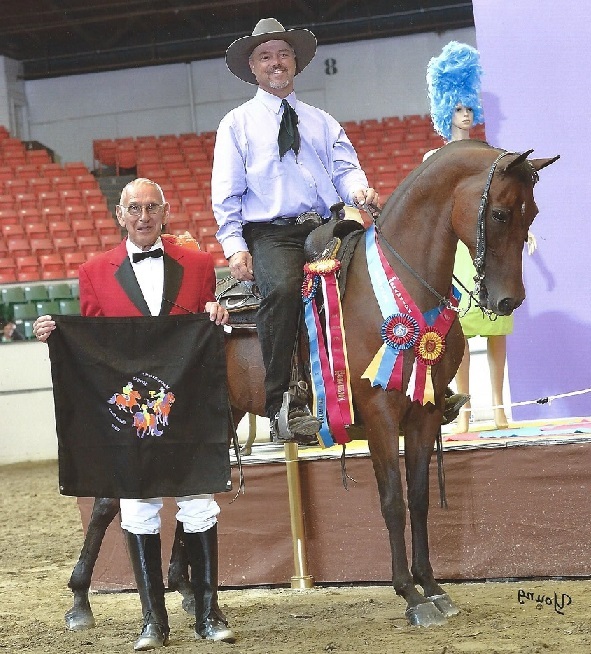 Stephanie Lavertu has been nominated by the Maine Morgan Horse Association to be the year's Masters rider ! Stephanie is more than deserving of this achievement, as a recognition of her dedication to her work with Menomin Patriot, and their continued success. Maidi is showing her Morgan Versatility!! top score at the open Western Dressage competition at the 2103 Mass MorganShow!! 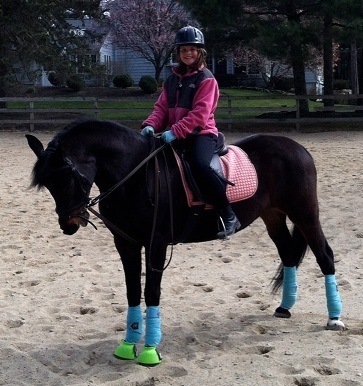 CONGRATULATIONS TO Vanessa S. on her purchase of Menomin Specialty... Look how athletic Specialty is... This picture is only after a few months under saddle!! CONGRATULATIONS to SHARI HARDINGS on her purchase of our western pleasure champion, Menomin Made to Answer. We are especially proud of this new match, as Shari has purchased Maidi to be HER mount,,,, even though her husband raises Quarter Horses!!!! Maidi is off to Iowa to show quarter horses how to be a good western pleasure horse!! CONGRATULATIONS to the Tuttles on their purchase of Menomin Jezibelle, a past money winning futurity horse and one of our multi-disciplined sport horses for their daughter. CONGRATULATIONS to Cheryl W on her purchase of Menomin Electra, our beginners horse as her first horse. Electra and Cheryl will be snow birds this winter. 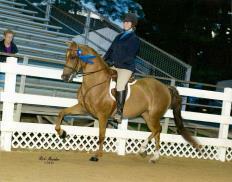 CONGRATULATIONS to Barbara Daigle on aquiring Menomin Precocious Mz, her third Morgan from Menomin Farm!